Banco Santander SA has earned its "special place in markets hell" - as Bloomberg columnist Marcus Ashworth termed it. Shares of Santander erased and earlier gain and closed lower on Tuesday after the bank confirmed anxious bondholders fears by affirming that it would refuse to exercise a call option on a €1.5 billion ($1.7 billion) issue of Additional Tier 1s - better known as contingent convertible, or CoCo - bonds. 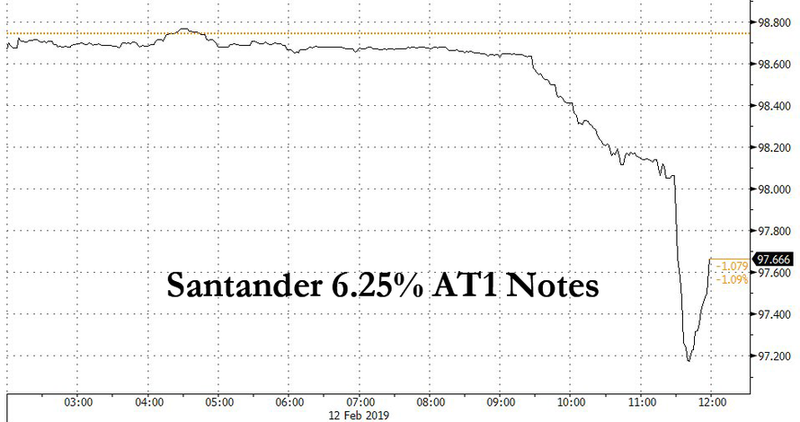 Santander's decision makes it the first European bank in the still-young $340 billion market for bank AT1 notes to decline to call the bonds after the standard five-year term. A spokesman for the bank told BBG that it wouldn't redeem the bonds out of an “obligation to assess the economics and balance the interests of all investors." Santander is only one of 10 European banks who will have the opportunity to redeem the AT1 bonds this year. But in another wrinkle, Santander last week issued $1.2 billion in dollar-denominated AT1 notes to a group of what's believed to have been mostly European investors. 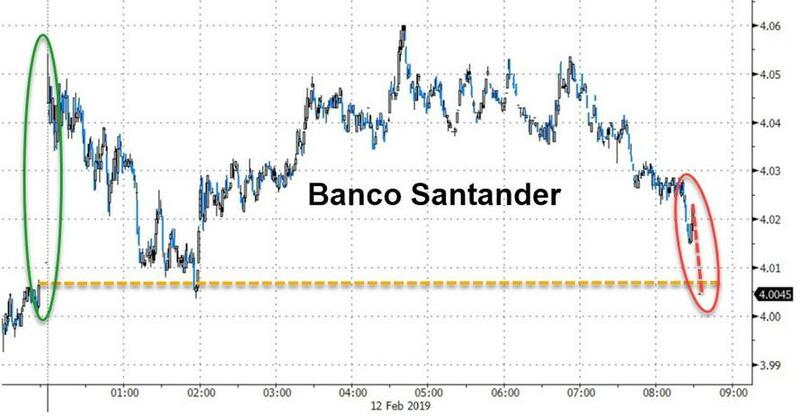 BBG posited that buyers of the dollar bonds may have put in bids hoping that, if the issue was well-subscribed, Santander would redeem the euro-denominated bonds.